Two German websites Der Hörspiegel and Blueprint Fanzine have reviewed High Tides, the latest release on Isotopia Records by Constance Hauman. 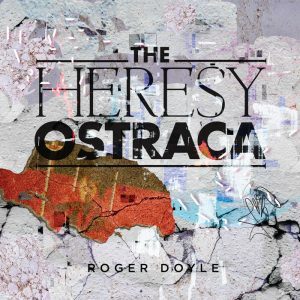 RTÉ lyric fm has featured Heresy Records on its Sound Out with Ian McGlynn show from Sunday, March 31. 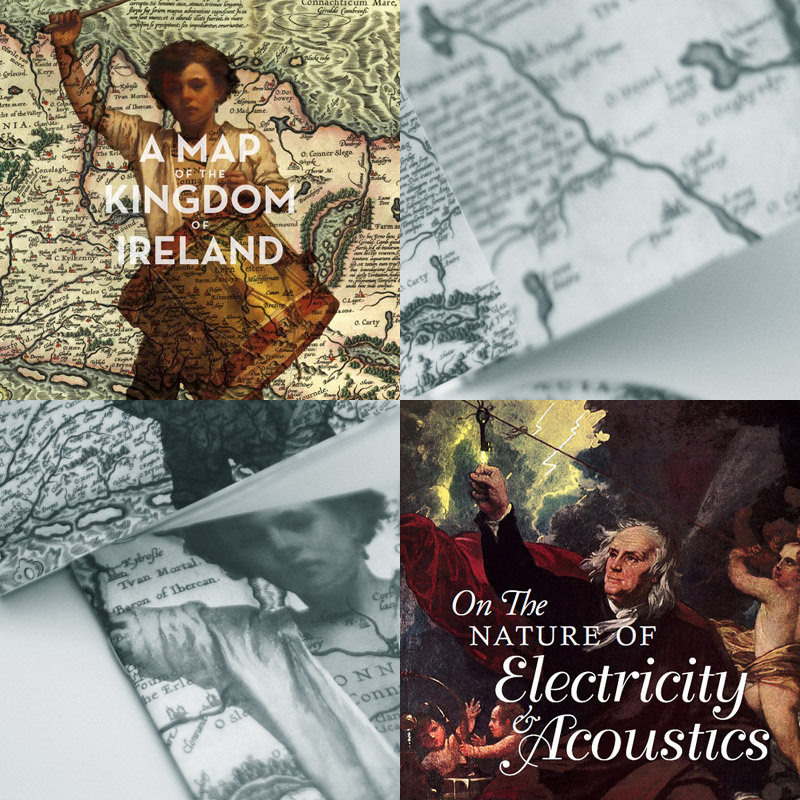 Included in the broadcast was music from Caitríona O’Leary, The Dublin Drag Orchestra, Mel Mercier and the Roger Doyle track Eighties Rampwalk from Heresy’s 2018 compilation of Irish electro-acoustic music A Map of the Kingdom of Ireland. The 22nd annual The Irish Times Irish Theatre Awards took place in Dublin’s National Concert Hall on March 30 with Heresy recording artist Mel Mercier receiving the award for Best Sound in How It Is. 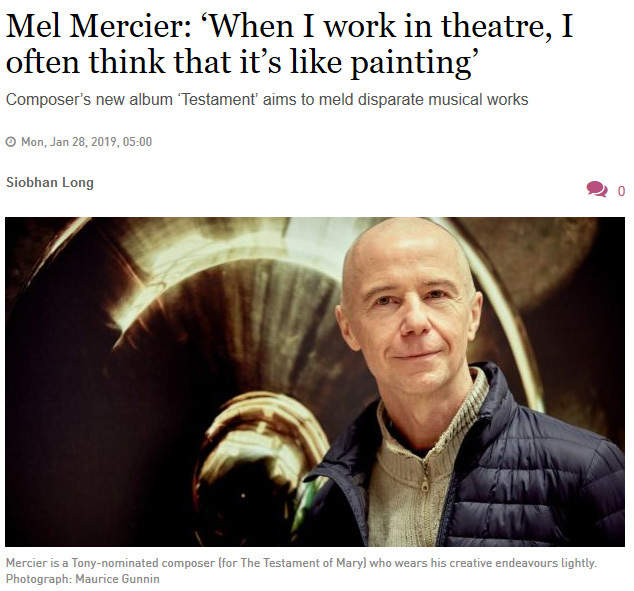 Read Mel Mercier’s recent talk to Siobhan Long from The Irish Times explaining the creative processes behind his new album Testament. 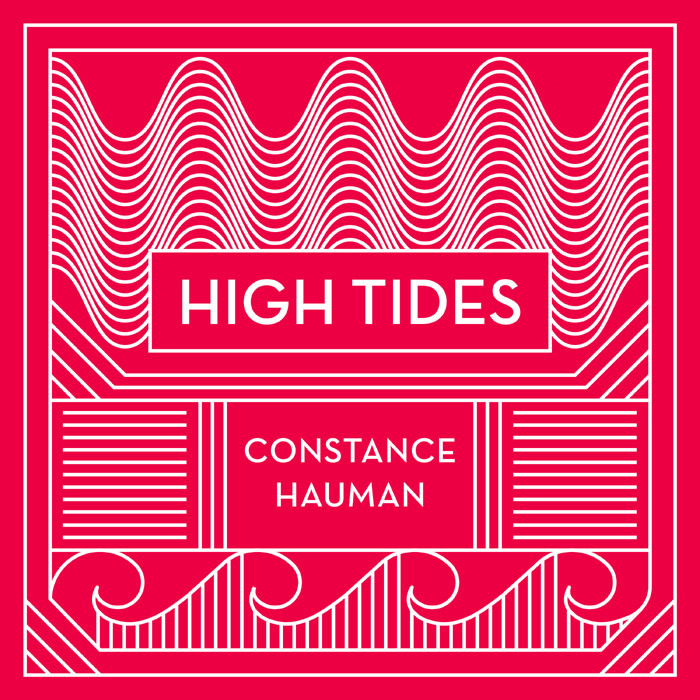 High Tides – the latest release on Isotopia Records from Constance Hauman is currently garnering rave reviews from the German music press. 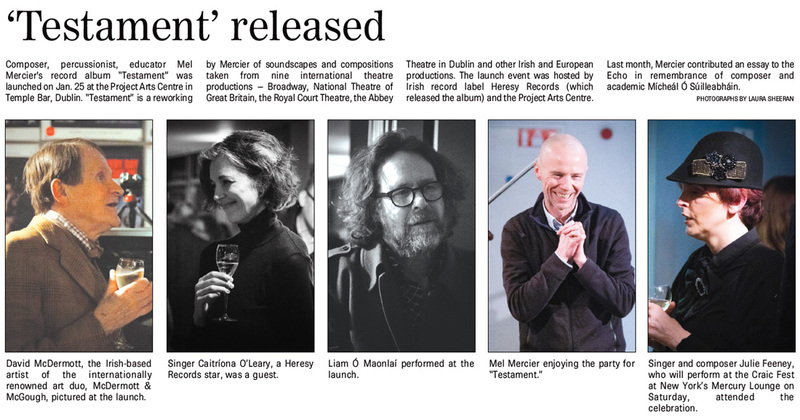 The Irish Echo, the Irish American weekly newspaper featured the launch of Mel Mercier‘s new album Testament. The event took place at the Project Arts Centre in Dublin on January 25th. Those in attendance included David McDermott, Caitríona O’Leary, Liam Ó Maonlaí who performed Man of Aran, Kate Ellis, Julie Feeney and director of theatre and opera Deborah Warner. Mel Mercier talks to Siobhan Long from The Irish Times and explains the creative processes behind his new album Testament. 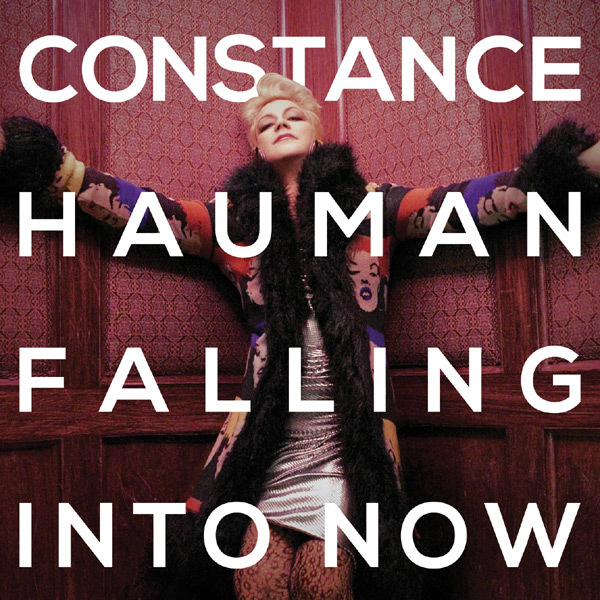 Constance Hauman‘s new album High Tides features on KMNO 91.7 FM Maui. Hosts Matthew Gurewitsch and Paul Janes-Brown play the opening and closing tracks on their CATCH OF THE DAY show. 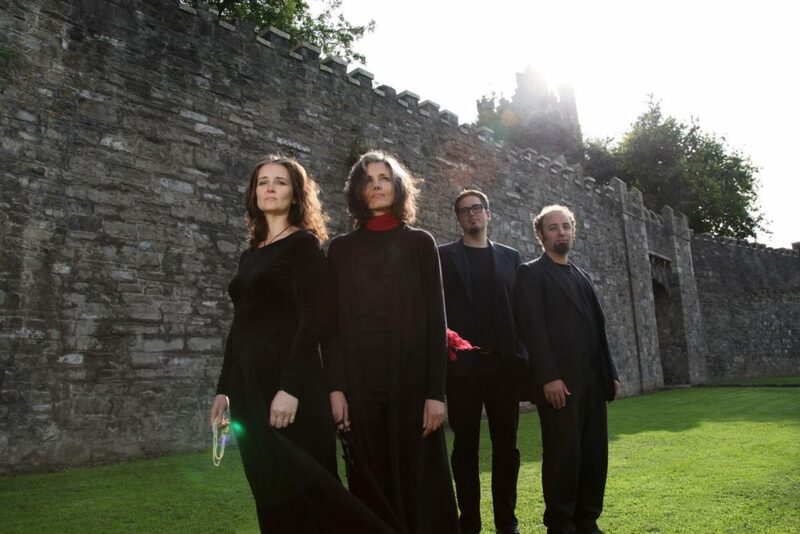 The Irish Times has given Mel Mercier‘s album Testament a 4 star review. 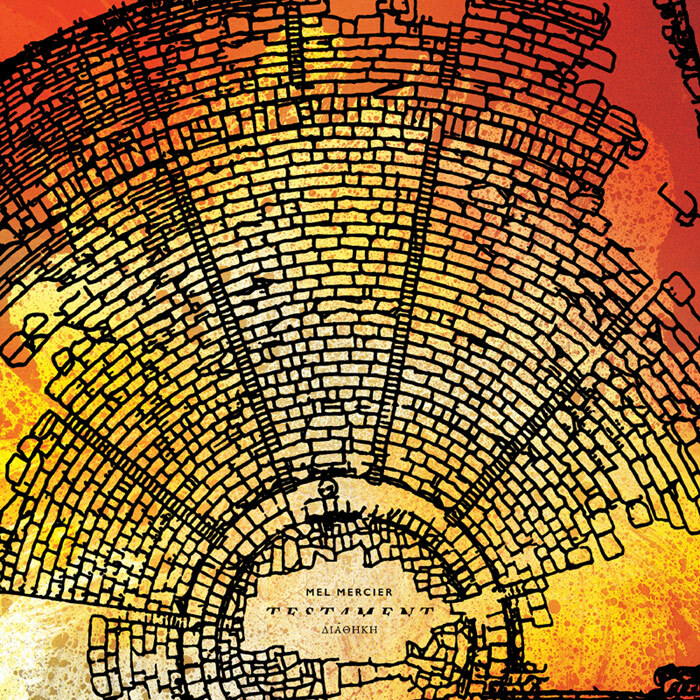 “There’s a deeply alluring austerity about this collection of music written from theatre by Mel Mercier. 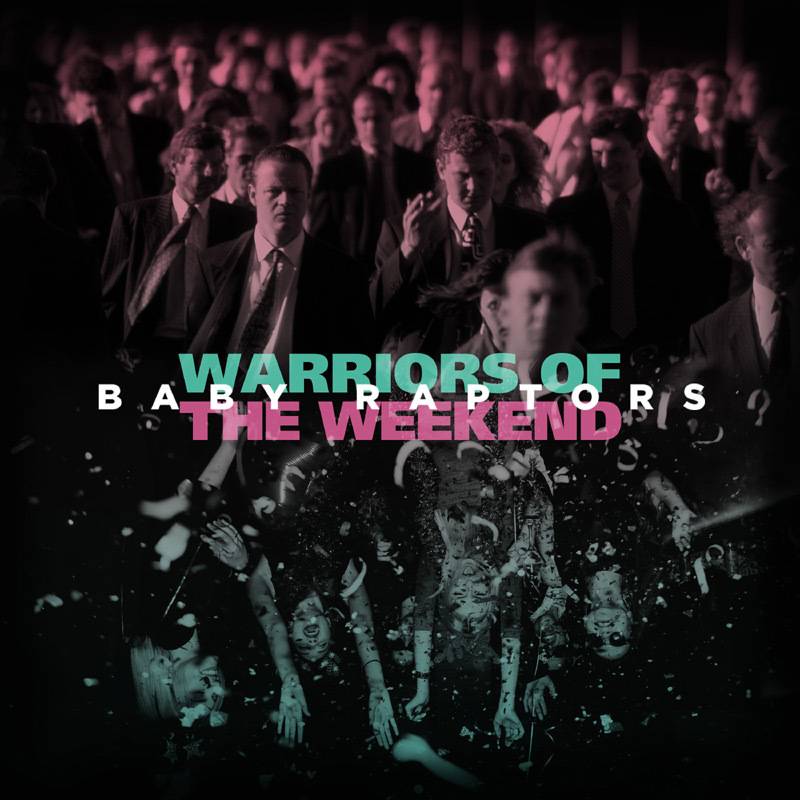 Warriors Of The Weekend is a superbly crafted and performed pop song by the Brooklyn-based band, Baby Raptors. With reminiscences of 1980s synth-pop, Warriors Of The Weekend’s catchy melody and lyrics detail the joy and release of escaping the drudgery and oppression of the workplace – or classroom – for the freedom and pleasures of a weekend of fun, abandonment and gratification. Graham Rickson reviews A Map of the Kingdom of Ireland in The Arts Desk.